Because- We can buy any makes, models or year of car. This is the business related to all used or old cars. We are the group of wrecking Industry in Brisbane Australia. You can sell us any registered or unregistered vehicles. We can arrange to come to you at your home or work. You will get the paper work done which is valid for Queensland Transport. We always try to sort our bookings on same days. We are licensed used motor dealer. Get a closer look at our services to deal with us for cars, vans, Ute’s, 4×4, 4wd’s. Cash for Scrap Cars by recyclers is effortless now. The On-call car evaluations help you a lot to save your time if you don’t believe try to call us 07 3082 6471 for a free evaluation. We value all makes and models, never mind if the car will be useful in the future for you or not. The process of selling an unwanted car is extremely hectic and nerve-wracking for a car owner in Brisbane. We (at Scrap car recyclers) have taken the oath of removing the burden from the head of our clients. We are leading vehicle recycling company in Brisbane. The Cash For Cars service is more common for scrap and junk cars. We have been in the business for over a long period and have helped numerous individuals. If you’re searching to get rid of your old, dead or junk car. Our car recycling company will help you. First We have a used car value evaluator software that has millions of cars record with different kind of worldwide cars history along with their prices. Our team consists of the best evaluators for examining, evaluating, and determining the rate of a car. The system always evaluates a scrap car price with the help of some following stuff. Although, We accept almost every local Australian vehicles, as well as International (or imported), makes and models such as Toyota, Mitsubishi, Holden, American models, European and Japanese models. We deal in Several regions of Brisbane QLD and work as wreckers of almost all kind of vehicles whether it’s for mini, microcars and commercial heavy trucks. We are one of the second-hand car dealers where we buy vehicles manufactured in the years 1991. The car owner doesn’t need to worry about the car conditions as we pay for any condition. Save money with us by selling your scrap cars in Brisbane, Ipswich, Goldcoast, and several other regions as well. Looking For a Free Car Removals Near You? We Work to get the easy process done from our end to remove any of the vehicle same days. As we work for old car removals and junk car removals from your home or offices free of cost. 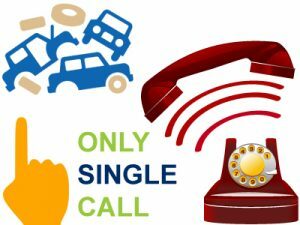 The same time when you contact our professional experts to help you remove unwanted, useless vehicles from your place and also time to get earn some good amount of cash in no time. As we are the part of all type of cash for cars where the actual value of your car will be calculated along with cars make, model and year of manufacturing. 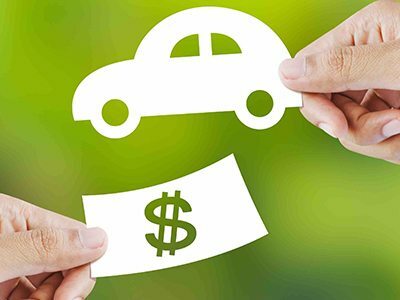 Our Evaluators has Online Cash for Cars Evaluating facility where any customer can get easily the value of their vehicles. We are not only operating as a used car buyer but also for all sort of old, scrap or junk cars purchaser. In addition, Cars with no value to you can get an easy option to remove from their home at zero cost and get also some handsome cash. Whenever you feel that a vehicle is totally burdening for your garage and never wants to go to get the auto wreckers that tow your vehicles same, we work for you to remove from your home. We have same day removal services you could use to have your car removed in Brisbane, Gold Coast, Ipswich, and Sunnybank today. 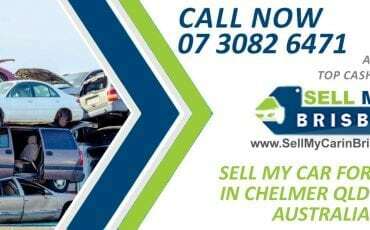 We always pay for wrecked cars, vans, trucks, 4wd’s, 4×4 and other motor vehicles. Pointing to the Brisbane region all cars and trucks can be sold same days with us. Contact us today at 07 3082 6471 for instant cash For Scrap Cars offers on your vehicle. Alternatively, you can fill in and submit the auto quote form on our website and you will be presented with an instant cash offer for your vehicle. 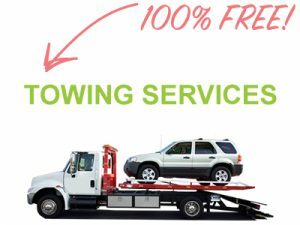 We offer free towing services for each and every removal. Once you accept our cash offer, everything will be included and you won’t have to incur any charges. Get our Highly Payout Services along with Free Car Removals Brisbane Quotes Online throughout the Brisbane and it’s all suburbs. Our Wrecking services will help you out to find cheap used car Parts for any makes and models. The Cash For Scrap Cars process is a hectic task and it is time-consuming for sure! But, this is our top most priority to complete all the proceedings as early as possible and deliver the cash to the customer. We are concerned about the convenience of the customers and want them to be happy receiving the cash. Moreover, when it is about the pricing, you get the best amount in Brisbane only from sell my Car for cash Brisbane. We have the specialist to decide the most appropriate pricing for your car. If you are thinking about what we do with the old and damaged cars, you will be happy to know that in most of the cases, we recycle, repair or resale the car and the car parts. Since we are the wrecking family for all sort of vehicles that might be useful for any purpose or not. Our aim is to protect our environment by following the guidelines from the government of Queensland and we buy 4 wheel drives. The same as cars you can now sell your 4wd Brisbane in just a few hours. Moreover, if got any commercial heavy truck and wanted to get rid of, we have a team of professionals that can wreck all heavy vehicles. Selling 4wd’s Brisbane is now very easy with us just by dialing our contact number and gets free quotes for your car. Sometimes customer thinks that why I should sell my vehicle to you, so we are assuring you that our business is registered and we have so many years of experiences in wrecking field. Also had thousands of top reviews from our customers that can be checked on Google by searching for our brand name Qld car wreckers. Simple and helpful staff will never let you down at the time of selling the car in Brisbane. We cover north, south, west, east and central Brisbane. Our drivers are available on each corner of Brisbane city so don’t worry about the towing, we always tow from your home and free of cost. We have our own inventory of valuable and good-conditioned and used car parts that you can use for your own car. Feel free to get in touch with us for any car removal needs in Brisbane and we would be more than happy to serve your needs with our professional and skilled people. Q1: How much can we get for my vehicles? Depending on your vehicle condition we pay you cash on the spot. Payments can be done in cash or account transfer on the same day, not just we pay top cash but also we can beat any car wrecking company in Australia. Q2: Selling a car to recyclers? Like everything on the earth gets older and become useless. Recycling it will not just save space in your land, but also helps us environmentally. Q3: Do they charge for towing? Q4: When to wreck your car? 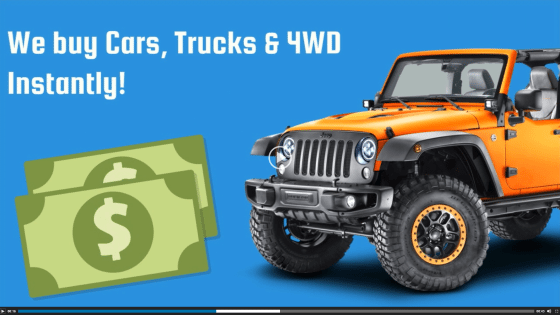 It’s hard to guess when you should wreck your vehicle but, when your car, van or truck is not in running condition then you should wreck your car and get cash for it instead of resting it on your backyard or garage. Q5: Other Car Wreckers in Brisbane? There are hundreds of car wrecking & Cash For Scrap Cars company in Brisbane, but to find the best one is time wasting. Just simply call us or get a quote online. We promise we will pay the top, beaten price for your vehicle. Q6: How to sell cars for recycling? Selling your old, Damaged or scrap vehicle is super-duper easy with us. Simply fill out the quote online or call us at the provided number. We will check your car condition and provide you with the best cash possible for your unwanted cars, Trucks, Vans or even 4×4 vehicles. I used to ride a Toyota Corolla sometimes back. But, recently I got bumped into another vehicle causing huge damage to my car. It was getting difficult to search for a car wrecker. In the meantime, I contacted Sell My Car in Brisbane and these guys show up and get the car removed. For a while, I was making a plan of purchasing another car as the then existing one was getting troublesome. But, I was not getting a potential buyer for it unless I got to learn about Sell My Car in Brisbane. They get in touch with me within a few days of fixing the contact and get the unwanted vehicle removed. They were upfront and honest about everything and let me know what needed to done with out up selling me anything which was appreciated. Explain to you how all this mistaken ideas of denouncing and praising pain was born will give you a complete.